Warnings About Tick-Transmitted Powassan Virus-Truth! - Truth or Fiction? Warnings About Tick-Transmitted Powassan Virus-Truth! Warnings about Powassan Virus, a virus transmitted by ticks that can be deadly or cause permanent neurological symptoms, circulated as summer of 2017 began. Powassan Virus is a real and potentially deadly transmitted virus that has affected about 75 people in the Northeast and Great Lakes region of America over a 10-year period, the Centers for Disease Control and Prevention (CDC) reports. As the number of cases reported over a 10-year period indicate, Powassan Virus has been fairly uncommon. Warnings about an increased risk for the virus were based solely on increases in the number of ticks in the Northeast, and in an uptick in the number of confirmed cases of the virus in deer. By June 1st, Maine public health officials had confirmed two new cases of Powassan Virus, further fueling concerns that it could be spreading. 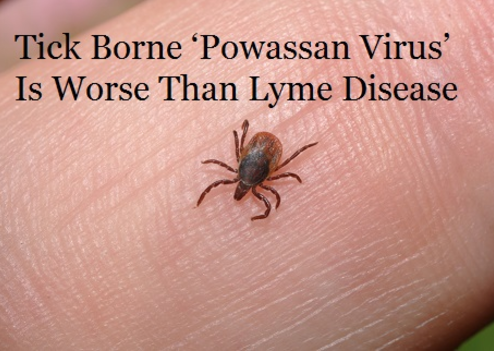 The Maine Medical Research Institute also issued a report that found Powassan Virus was prevalent in the southern portion of the state. There aren’t any known vaccines or treatments for Powassan Virus. Symptoms usually emerge anywhere from a week to a month after being bitten by an infected tick. Some people might not experience any symptoms. Others might experience headache, vomiting, weakness, confusion, loss of coordination, speech difficulties and seizures, CDC reports. About half of people with Powassan Virus have permanent neurological symptoms like memory loss, recurring headaches and muscle wasting. About 10% of Powassan Virus cases are fatal. To help avoid contracting POW, CDC suggests avoiding exposure to natural tick habitats, using over-the-counter repellants when you are in these areas, and removing ticks before they have a chance to bite. Warnings about Powassan Virus are real, but it remains to be seen if there’s an elevated threat. Democrats Introduce Americans with No Abilities Act (ANNA)-Fiction! Do 52 (or 58) Free Horses Need a Home?